"You're not going to offer me a beanbag chair? ""I wouldn't want to insult your dress. It would clash so terribly with the paisley pattern." Elliot sat across from her. "Now. What would you like to talk about first, my being shot or my addictions?" "The chips? "Serena sighed. "She said to bring a side and I don't cook, you know that. this is why I have all my parties catered. "Don't worry," he assured her with a wink. "I don't judge." "You're done early tonight. ""I've got a thing with the ex and her family. "Carl shook his head. "What part of ex don't you understand? You don't stay friends with 'em, Lennox; that's how you go crazy. You give 'em alimony and child support and take the kids over the summer. That's how you handle an ex." 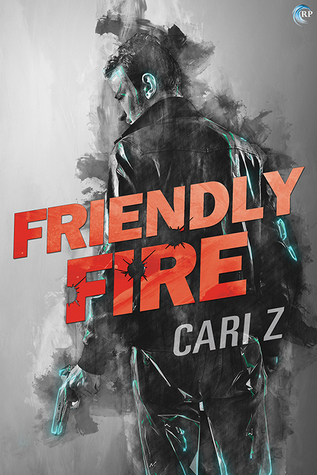 While Cari Z is not an entirely new to me author, 'Friendly Fire' is my first time reading a full length novel by her and this definitely won't be the last one either, if I'm going to be as thoroughly entertained as I was by this time around. An ARC of 'Friendly Fire' was graciously provided by the publisher through Net Galley in exchange for an honest review.